For outdoor lights, there’s landscape lighting. Then there’s Lightscapes, from Suburban Landscape Management. Since the early days of a lamp on the sidewalk for safety, landscape lighting has evolved from security to spectacular. 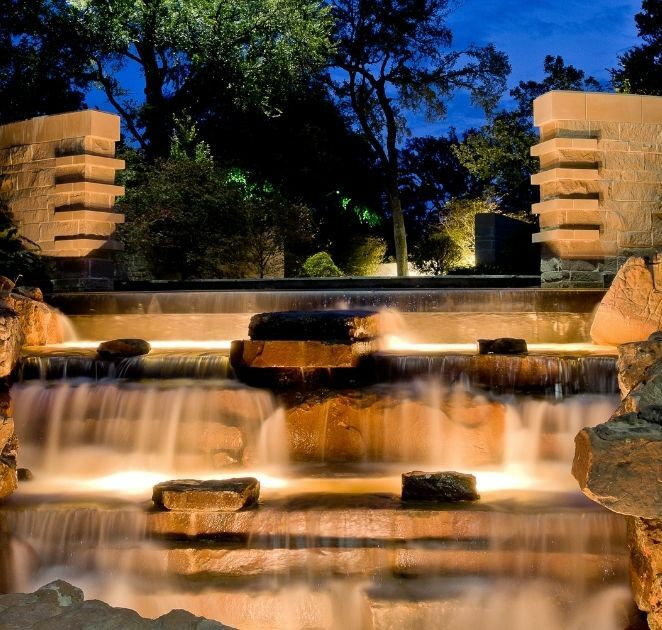 These days our clients ask us not just for diagrams, but dreamscapes, and landscape lighting, or Lightscaping, is often at the top of the list. Outdoor lighting. Designed for outdoor living, by outdoor professionals. 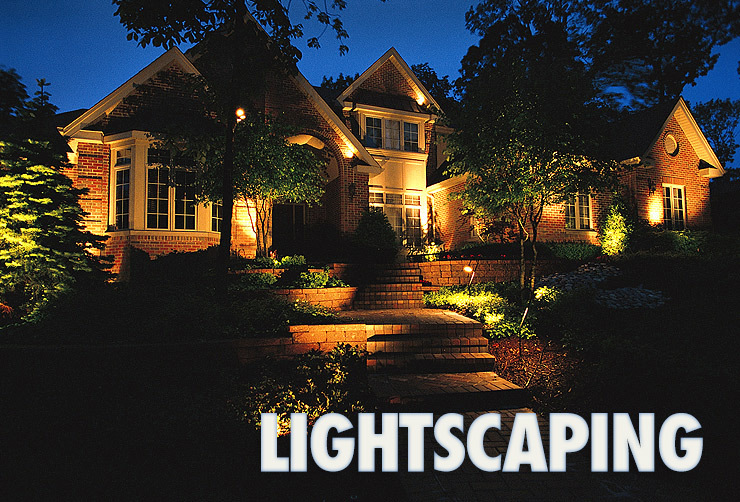 Your landscape lighting is conceived in tandem with your dreamscape design. 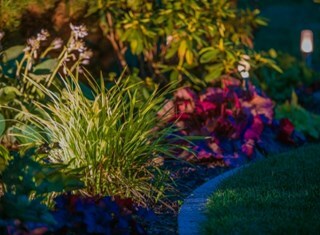 Not only do our professional landscape lighting designers understand how to turn light into lovely, but they do it with respect to efficiency and affordability. 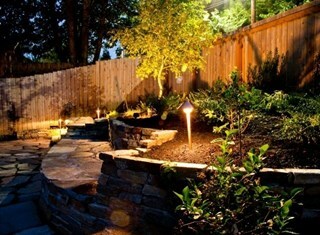 LED landscape lighting. Less energy. Longer life. Flexible, durable, and ecologically friendly (LED lights are free of toxic chemicals), outdoor LED lighting casts a new light on your landscape. Professionally designed and installed LED lighting enables focused light dispersement and more creative flexibility in your lightscape design. And with half the wires of a conventional outdoor lighting system, there’s less maintenance with an LED lighting system. Design. Install. Maintain. Service. All from one light source: Suburban Landscape Management.